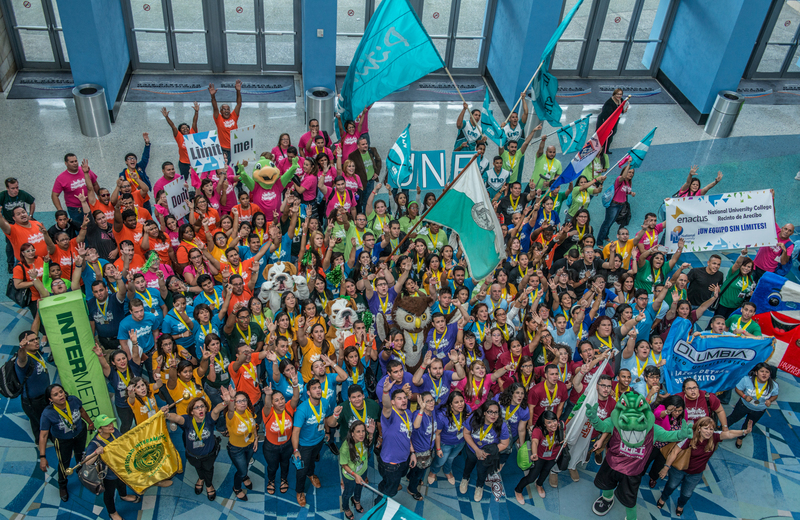 If you had to pick a theme for this year’s Enactus Puerto Rico National Competition, it would be sharing. Sharing the impact the teams had in communities across the country. Sharing the knowledge of experienced business executives with the future leaders of Puerto Rico. And sharing the experience of the competition with supporters throughout the country and around the world. Twelve teams competed in two rounds of competition in hopes of earning the opportunity to represent Puerto Rico at the Enactus World Cup in Beijing this fall. After being evaluated by 60 executives in the opening round, the final four teams had the chance to present their work to a 40 person final round judging panel who, in the end, selected the Enactus team from University of Puerto Rico Mayaquez as National Champion. Judges were impressed with their initiatives such as Limitless, a social enterprise that helps the legally blind. After realizing that 90% of the legally blind in Puerto Rico are unemployed, the team performed a market analysis and needs assessment to determine how to best help this population. The result was Puerto Rico Industries for the Blind, which includes a manufacturing plant and a call center, and created 22 new jobs and nearly $1,380,000 in economic impact. The competition was sponsored by a long and impressive list of organizations: Able Sales, Burger King, Clorox, DDB Latina PR, Holsum, Johnson & Johnson, AT&T, Tres Monjitas, KPMG, Estrella LLC, Valdés, García, Marín & Martínez, LLC, Hershey’s, Molinos de Puerto Rico, Oriental Bank, Puerto Rico Supplies Group, Unilever, Walgreens, Walmart, and Pueblo, Inc. In addition, more than 120 business and government leaders gave their time to participate in the event, with two of them addressing delegates directly: during the Opening Ceremony, Rafael Lama, Senior Editor, Business Section of El Nuevo Día, shared his experiences as a journalist and noted our potential to change the course of history with a better understanding of our current reality. The Hon. Dr. David Bernier, Secretary of State of the Commonwealth of Puerto Rico, addressed the nearly 500 people in attendance at the final round ceremony, where he shared his experiences as an athlete, and how discipline and courage shaped his life. 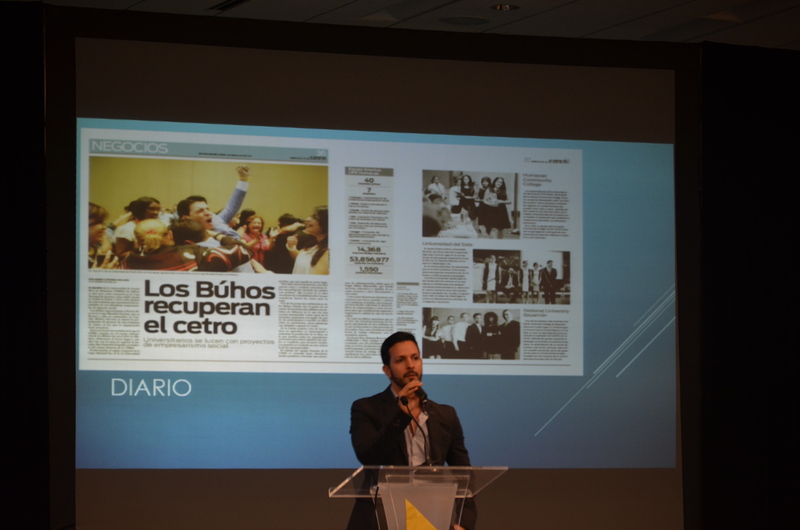 To ensure that the impact of the competition extended beyond those in attendance, the Enactus Puerto Rico team leveraged the power of social media, particularly the organization’s Facebook page. Through timely updates, engaging pictures and videos that gave you a sneak peek of what was happening, the Enactus community in Puerto Rico and around the world was able to follow along with the event and support the teams from afar. Here’s one of the videos they shared; check out their Facebook page here to see all their posts. 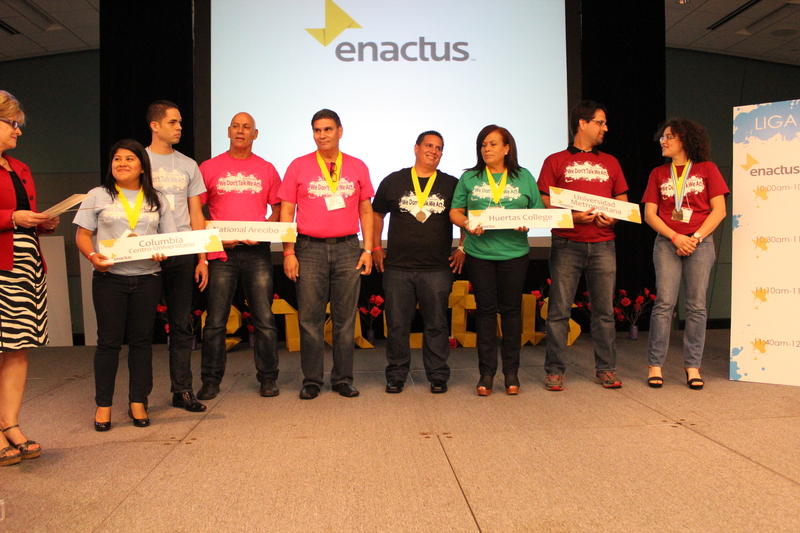 Post by Enactus Puerto Rico.